Video games – more or less accurately named as such, given the number of platforms you find them on – started implying a deeper and deeper sense of immersion through gameplay and technology innovations every day ever since their inception. In spite of the legacy of this nature of entertainment still developing on its already native platforms, PC, PlayStation, XboX and whatnot, in the recent years there has been an incontrovertible rise of the gaming practice in virtual reality via gadgets such as the infamous Oculus Rift. 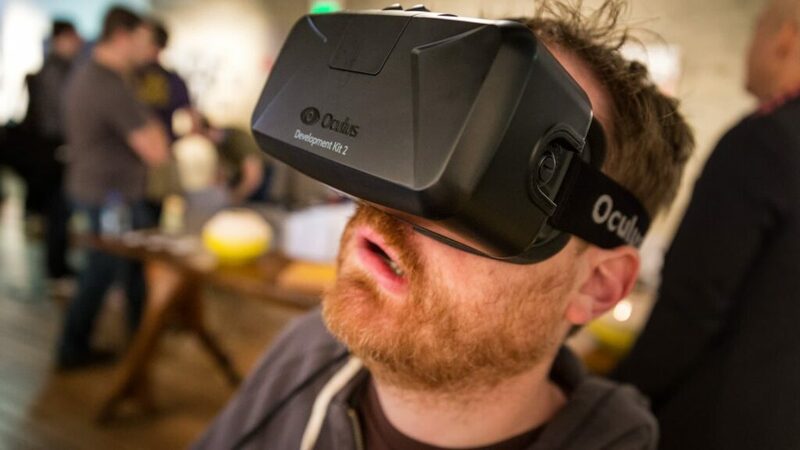 An industry adopted by numerous tech giants in one way or another, but first brought into the spotlight by Oculus VR, virtual reality devices are getting upgrades and new features all the time. While it may not have yet touched ground on the zenith image depicted in fiction pieces out there, the Oculus Rift DK2 sure brings plenty of exciting improvements to the trade. The best news is the fact that while the device was originally developed for R&D, testing purposes, it is now available for purchase for any willing virtual adventurer out there – provided that you’re willing to pay the price to be one of the first to experiment such digital delights that are, by all means, not yet a finite, everything-you-could-wish-for product. In comparison to its predecessor, the DK2 has finally cleaned up the issue of the multiple wires and cables needed to make use of the device and keeping it up and running. It now incorporates everything it needs inside the device itself by using a single cable hanging from the headset with an USB/HDMI ending to suit your connectivity needs. Let’s be frank – if you bear witness to someone using the Oculus Rift as an objective observer, the harness may look quite harsh and heavy on the user’s head. The previous model of the gadget weighed no more than 380 grams, undoubtedly a robotics achievement on behalf of the developers, given the intricate technology that sets things in motion inside it. Truth be told, the DK2 has gained 60 grams in weight but remains just as comfortable to wear and make use of. The larger lenses are one of the culprit behind the increase, however the new setup inside the device maintains it at the same levels of comfort for both glasses-wearers or otherwise. 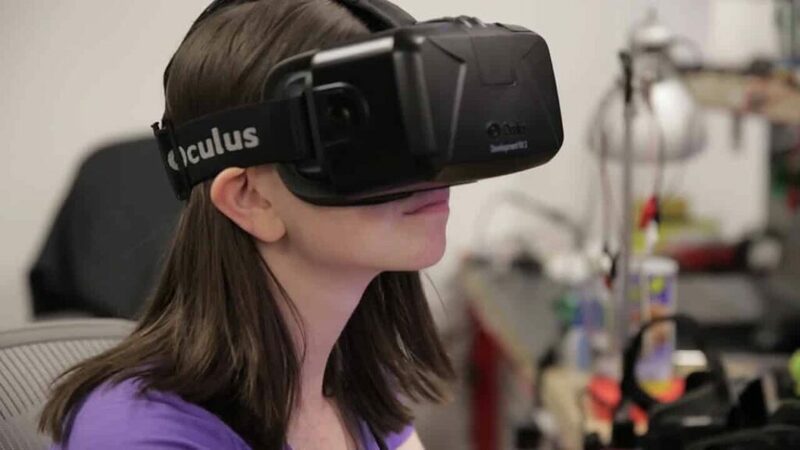 The material used to build the harness are designed for comfort and prevention of overheating; you may experience a little warming up if you choose to use the device on hot days however, but otherwise you shouldn’t have any problems using the Oculus Rift DK2 in any circumstance. Getting the thing up and running straight out of the box will eat away the slightest bit at your precious time as actively functioning applications for the Oculus Rift DK2 are still but a little scarce. 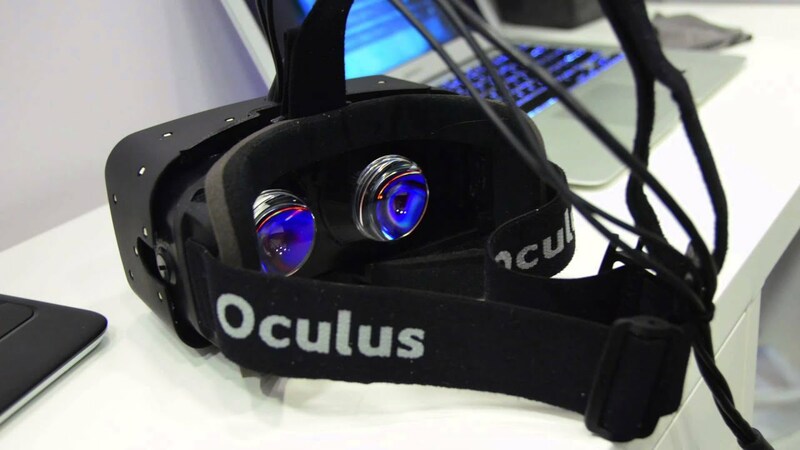 The device uses Oculus Runtime as its package of functionality software such as configuration tools, drivers and every other bit of basic programs to ease your way into its usage. One of the new additions that were brought to the gear as of its latest DK2 model was the Direct Rendering Mode. To make things short, the DK1 acted as any other display device when connected to a computer proxy – just as if you had connected a secondary monitor or screen to display your image on it. 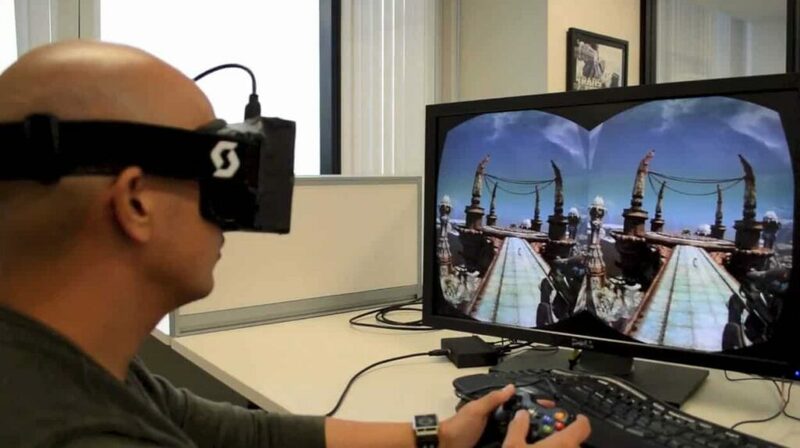 The DK2 introduces a method of skipping past the headache of having to fiddle with resolutions and display settings – by enabling the Direct Mode inbuilt in the device you can straight away start using the Oculus Rift because the software allows it to bypass Windows’ detection of it as a display output, forcing it to extend the view to the headset in a simple window that is opened on your desktop initially. This ensures that you can immediately start running any application on your VR device in its native resolution and frequency – a hefty 1920 x 1080, 75Hz. The first and foremost thing that is worthwhile mentioning is by far the upgrade to the 1080p OLED panel; the contrast, vividness and deep color pattern are surely a huge plus to the predecessor and make for a never before achieved intensity of immersion – if literally strapping the game to your eyes and having it become your environment and surroundings wasn’t enough. The realism factor is a huge plus and at the rhythm things are developing right now it surely won’t be long until applications forge a fictional world right in front of you. The newly obtained contrast makes up a huge deal for the 3D effect and while the resolution does not yet raise at the 4k+ standards and pixels are still there, somewhat distinguishable, the Oculus Rift DK2 is definitely on the road to success. Motion is now handled better by the device too as the blur resulting in rapid head movements to your left and right has greatly diminished in level and makes the interaction considerably more believable than the standards the DK1 set. There are, however, a few problems with it still such as the smear effect that might pop up in game areas that consist of strong, high contrast imagery. It is not a fretting matter in the slightest though as the developers are constantly working on a fix and improvement on the matter. The frame rate consistency is decent as it is, with the occasional experience of the micro stuttering you might encounter in certain applications. Positional tracking has also received a boost in the latest DK2 that is meant to reduce the virtual reality sickness that may occasionally kick in. Using the multiple infra-red LEDs packed into the gear assist in mapping position and movement better than before and giving the device a considerable edge. As stated in the introductory paragraphs, the Oculus Rift technology is still a work in progress as much as it is a state-of-the-art device. Immersive video game experience is still a long way from a perfect, variety-driven and all-powerful aspect of our society, but it’s moving steadily. 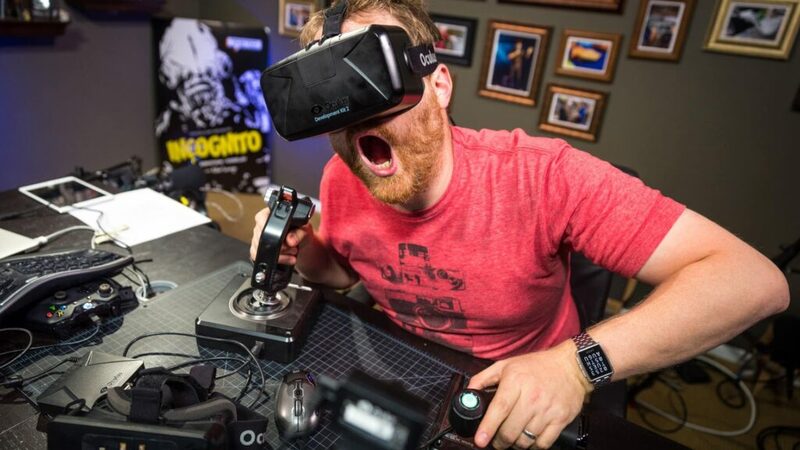 You can acquire a DK2 of your own via www1.oculus.com/order for the standard price of $350.